When Robert Lescher died in 2012 an unpublished manuscript of M.F.K. Fisher's was discovered neatly packed in the one of the literary agent's signature red boxes. 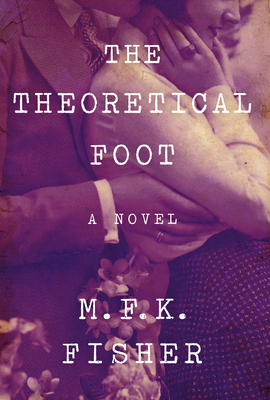 Inspired by Fisher's affair with Dillwyn Parrish -- who was to become her second husband -- The Theoretical Foot is the master stylist's first novel. In it she describes the life she all-too-briefly had with the man she'd ever after describe as the one great love of her life. It tells of a late-summer idyll at the Swiss farmhouse of Tim and Sara, where guests have gathered at ease on the terrace next to the burbling fountain in which baby lettuces are being washed, there to enjoy the food and wine served them by this stylish American couple. But all around these seemingly fortunate people, the forces of darkness are gathering: The year is 1939; World War Two approaches. And the paradise Tim and Sara have made is being besieged from within as Tim -- closely based on Parrish -- is about to suffer the first of the circulatory attacks that will cause him to lose his leg to amputation. M.F.K. Fisher essentially invented the genre of American food writing and when Consider the Oyster was brought out in 1941 to commercial and critical success, the career of one of our best nonfiction prose stylists was set on its course. Over the course of more than 25 books, Fisher shared her stories of food, love, and the sensuous life. Born in Albion, Michigan in 1908, she died in Glen Ellen, CA in the summer of 1992.